Since our founding, Treasure Data has been on a mission to simplify data management, and today with the launch of the first-ever Live Data Management platform, we have reached a major milestone on that journey. What is Live Data Management? Live Data Management is making all your organization’s data connected, current, and easily accessible to the people and algorithms that drive your business success. Why do we need Live Data Management? Since 2000, half of the companies that were in the Fortune 500 have been disrupted into extinction, due in part to slow reaction to market signals and shifts in customer behavior. While their own data could have told this story and allowed them to adapt — they just couldn’t see it in time. In today’s world, data is the new strategic weapon for competitive advantage. It powers smart decision-making as well as the new breed of successful algorithm-driven businesses like Amazon, Google, Facebook, and Netflix – the digital disruptors. The powerful use of data not only makes it possible for companies like these to exist, it can also be leveraged to drive even further growth by disrupting adjacent industries. Amazon originally used data primarily to optimize the purchase of goods, but then was able to leverage their incredible investment in data infrastructure to then disrupt enterprise data storage and processing. Netflix is disrupting the Hollywood content creation ecosystem by leveraging their deep understanding of consumer interests, originally developed through streaming others’ content. And Uber, having initially disrupted the taxi industry, has leveraged their infrastructure to begin to disrupt commodity distribution and logistics. Until now, the ability to leverage data in such powerful ways was beyond the scope of the typical Fortune 1000 company – the business imperative was not clear enough and the engineering time and expense too substantial. They would have to invest too much time, money and engineering resources to connect together their disparate data sources in an attempt to get a complete picture of their business. A DIY infrastructure, created with too few resources, can be fragile and easily lead to data gaps. And then adding new data sources or end-user applications requires further engineering effort and delays. Data engineers spend time on low-level tasks instead of building valuable products and tools for the organization. In the past, innovation in data technology was made primarily by University researchers or for-profit software companies that would make usable solutions broadly available. Today, however, innovation in these areas is driven by the digital disruptors, who compete and win for the best technical talent and focus on driving their individual business goals. Many of these efforts have been Open Source, which is a great thing. But those who want to leverage the technology still face the huge challenge of finding top technical talent and being able to afford the time and cost associated with creating and maintaining these sophisticated platforms. Now, you don’t have to build it from scratch. With a Live Data Management platform, any organization can immediately have a modern data stack, revealing a complete picture of their business, a better understanding of their customers, and delivering the ability to make better decisions – without the need to invest years and massive engineering resources. By combining Treasure Data’s world-class engineering team’s ability to solve a broad range of customer problems, and our strong focus on Open Source, the Live Data Management platform can innovate at the pace required to compete in today’s environment. Our Open Source efforts include Fluentd, Fluent Bit, and Embulk – breakthrough data collection tools started by Treasure Data engineers, used by the digital disruptors, and proven every day in the largest of enterprise applications. We’re also advancing the AI/Machine Learning space with our Hivemall Open Source project, just recently accepted into the Apache Software Foundation incubator program. Now anyone has access to up-to-date technology, without the engineering investment. The Treasure Data Live Data Management platform provides a turnkey solution that gives business users the ability to own and operate their data platform with the agility of the digital disruptors. Easy setup, automatically scalable, maintenance-free. We’re committed to our mission to give any organization access to the best data management tools, and in addition to our platform announcement today, we also announced that Treasure Data has raised $25M in a Series C round of funding. This funding will allow for us to further invest in evolving the new platform. 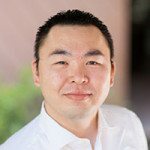 It’s exciting to see two new groups invest in our vision, SBI (formerly known as SoftBank Investment) and INCJ (Innovation Network Corporation of Japan), but what’s also very important is that all of our original investors continue excited about our progress and participated in this funding round, further reinforcing our momentum in the marketplace. It’s exciting to see the amazing insights that our customers can gain with Live Data Management and how they are making better decisions for their businesses. I really want to say a special thank you to all of our customers that have worked with us as we have grown, and helped us design this powerful platform. We are at the beginning of a new revolution in data management, and you have been there, creating the future with us. Thank you again.